The Student Council is a dedicated team of students ranging from year 7 to year 13. 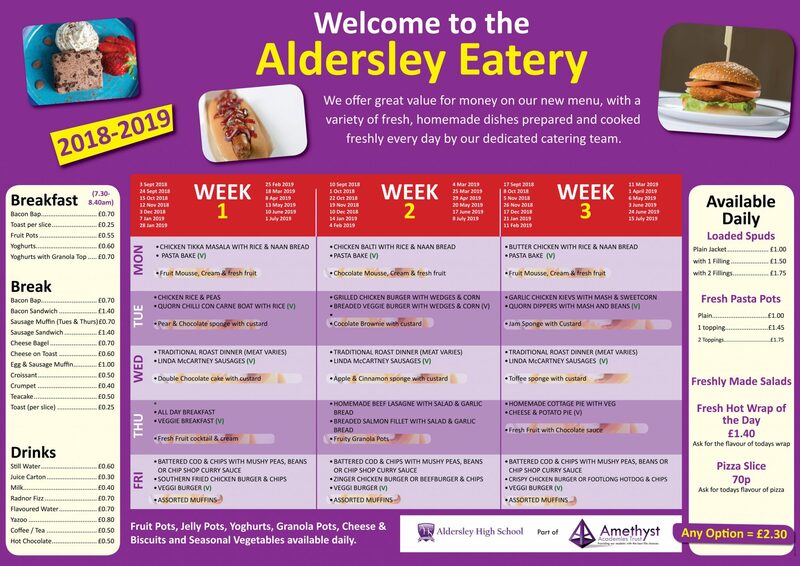 The Student Council represents the voice of all students at Aldersley High School as the student councillors actively reach out to their peers to hear their concerns through platforms like informal feedback settings back in their own classes and distributed feedback forms. Through their response, appropriate actions will be taken to address the issues raised. We seek to enhance student life by representing the concerns and opinions of the student body to the school. We work collaboratively with the rest of the student headship team across school to do this. Student Council will leave its members with many important leadership experiences that they would not have otherwise gained elsewhere. When do the Student Council meet? The Student Council meets monthly where we discuss items from the agenda that have been previously brought up by the student body. Our meetings are always held on a Thursday from 1pm till 1.40pm. The minutes from the meetings are displayed in school so all students can see what was discussed. We also aim to send out feedback forms termly so we can hear concerns from the students themselves. Council members also relay any decisions we have made back to their year group. Why I wanted to be a part of the Student Council: I wanted to be part of Student Council because I wanted to be an ambassador for all schools in the trust and all students throughout. I wanted to create an inclusive environment for all students where they could just drop in and discuss any issues they had. I have worked alongside staff and students this year across the trust to create a more collaborative and enjoyable environment for all. In my role I plan the meetings where we discuss important topics faced by all years. Why I wanted to be a part of the Student Council: I enjoy learning and gaining a different perspective that can give me the ability to help those in need of guidance. I wanted to be able to engage with other year groups to motivate and support their stay at Aldersley High School. By joining the Student Council, I believe I will get the opportunities to do this with the help of my peers. Why I wanted to be a part of the Student Council: I joined Student Council because I am a determined student who wants the opportunity to better my peers. I wanted to be able to discuss my plans and ideas to help the students of Aldersley High School. Through our meetings I have been able to discuss my aims with peers, as well as, staff. I have been able to work collaboratively with sixth form students to create action plans that will help all year groups. Why I wanted to be a part of the Student Council: I am a hardworking, ambitious student who wanted a chance to bring in innovative, creative ideas that will benefit the school and students. I have been part of the student council for many years and I have seen what change we have been able to make. Because of this, I was honoured to have the chance to work with this team again; proposing brand new ideas. Why I wanted to be a part of the Student Council: I wanted to be part of student council because I want to give everybody equal opportunities to succeed. I want to help guide my year group with transitioning into GCSE. By joining Student Council I have been provided with the ability to influence and discuss important decisions within the school. Why I wanted to be a part of the Student Council: I wanted to be a part of Student Council because I’m very passionate about the environment and recycling in the school. Through our meetings I have been able to bring ideas about how to create eco-friendlier environment around school. I have been able to work alongside the environmental team, as well as, the rest of the student headship team to make a difference. Why I wanted to be a part of the Student Council: I joined Student Council because it gave me the opportunity to have an impact on Aldersley even though I’m in year 7. In the meetings we have been chosen to make important decisions that would impact my school life. I enjoyed being a part of this decision making as I felt like I was helping the school. Why I wanted to be a part of the Student Council: I joined Student Council alongside the communications team because I wanted to be able to deliver the Student Council decisions to the whole school. From being in both teams I have allowed them to work together and create a better school for all students. Why I wanted to be a part of the Student Council: I joined Student Council because I wanted to be the voice for my year group. Through my role I have been able to discuss important issues that my year group have faced. In the meetings I have been able to explain their concerns and create solutions with my team. Why I wanted to be a part of the Student Council: I wanted to be part of Student Council because I wanted to create a better school life both academically and environmentally. I have been able to do this as I have been given the opportunity to speak to other like-minded students. In meetings I have been able to express my opinions and they have been taken on board when making decisions. Any student at Aldersley High School can speak to a Student Council Rep at any time about any issue. What have the Student Council done this year? In the first term, the headship team was formed and all roles were distributed. The councillors were asked to gather concerns from other students and bring them to the next meeting. In this meeting we discussed many things but with the help of the staff we were able to combat some of these initial issues. The council have worked very closely with the environmental team to reduce the amount of waste the school produces especially during lunchtime. We are constantly working and gathering ideas about how to make the school a better place.